New Care has been getting out and about on Oomph! trips. 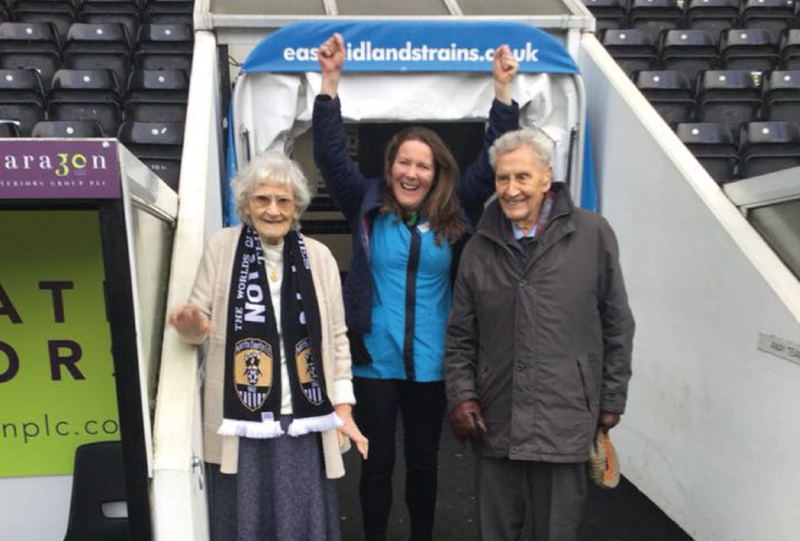 One recent trip for The Grand Care Centre scored a goal with residents, who went to Notts County Football Club. 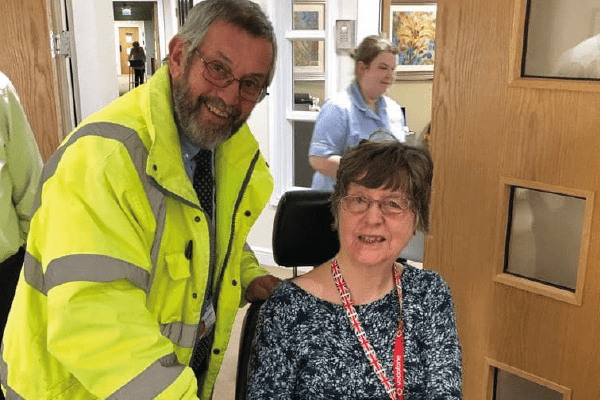 The trip was intended to build friendships between the male resident attendees away from the home, and fulfil one resident’s wish of visiting the location. The group went out for a meal first, before enjoying a personal guided tour by sporting legend Les Bradd, Notts County’s all time leading goal scorer! Oomph! are working in partnership with New Care to take residents out on regular minibus trips to a wide range of local destinations, including Woolaton Park, National memorial Arboretum, Blue Diamond Garden Centre and Stonebridge City Farm. You can find out more about the partnership here.